Today, I'm looking at chapter three from the book The Search to Belong by Joe Myers. This chapter is entitled, "Give Me Some Space." In this chapter, Myers identifies four spaces within which we relate. 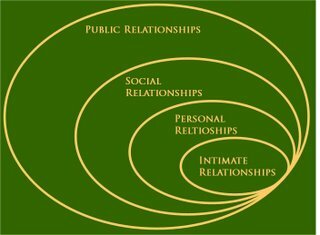 According to Myers we have these four different kinds of relationships with people. Each circle represents a higher number of relationships with a lesser degree of intimacy requiring a lesser amount of effort, but also meaning a lesser amount of meaning from the relationship. Myers suggests the key in this model is to strive for balance as opposed to moving. Rather than trying to force everyone in the church to develop intimate relationships with everyone else, people should be encouraged to develop different levels of relationships with different people. 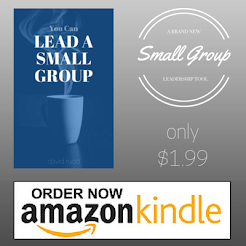 Myers' model allows for a fluidity of relationships not typically considered in the church. His assumption is that people will have public, social, personal, and intimate relationships within the church. We need to determine how to best use each of those types of relationships for spiritual formation. The process of bringing people into our community (often called assimilation) is really nothing more than understanding how people migrate relationally from place to place, then utilizing that natural migration to connect them into appropriate life-sharing relationships which provide a tool for spiritual formation.